Cyclonic storm 'Vardah' will make landfall between north Tamil Nadu and south Andhra Pradesh on 12 December. Since the MeT's annoucement, prompting rescue and armed forces, including the Navy, are on high alert. Tamil Nadu has announced a holiday for schools and colleges in Chennai, Kancheepuram, Tiruvallur, and parts of Villupuram. According to MeT director S Balachandran, "During the next 36 hours, rainfall would occur at many places over north coastal Tamil Nadu, Pondicherry, Chennai,Tiruvallur." 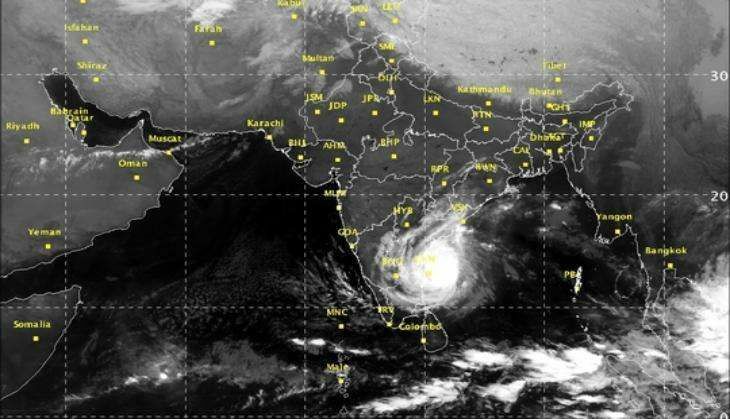 According to media reports, Cyclone Vardah, is likely to make landfall near Pulicat, around 60 km away from the Tamil Nadu capital with wind speeds of around 80 to 100 km an hour.Following the cyclone Vardah announcement Tamil Nadu Chief Minister O Panneerselvam held a meeting of the State Disaster Management Authority. ANI quoted NDRF DG Shri R K Pachnanda as saying, "We have sufficient standby reserves at Arakkonam. Closely in touch with state Govt authorities, and with other agencies like IMD. For TN, we've prepositioned 3 teams in Chennai,2 in Kanchipuram,2 in Tiruvallur, one team on its way to Puducherry." The Indian Navy has said, All operational ships have been readied and kept on standby The Indian Navy said it is ready to carry out relief operations.